In the framework of the World Health Assembly 2014 in Geneva international launching of this documentary. 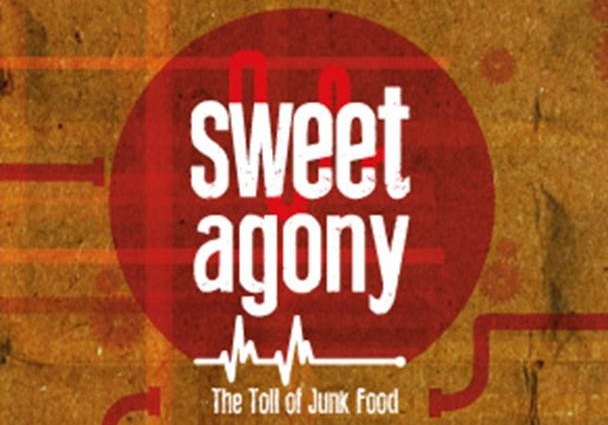 “Sweet Agony” tells the story of Don Gonzálo and the staggering 500’000 deaths in the past six years, 75,000 amputations and 80,000 deaths each year caused by the obesity and diabetes epidemic. Gonzálo’s story is interwoven with testimonies of patients from different parts of Mexico and interviews with national and international experts like Dr. Kelly Brownell, Dr. Walter Willet, Dr. Robert Lustig and civil society advocates, who warns that this epidemic is collapsing the national health system. Don Gonzálo’s search for health care and answers leads us to the experts’ call for regulations and zero conflict and interests from Big Food and Big Soda’s involvement in defining today’s public policies in Mexico and throughout the world.